Formed in 1997 by composer, drummer and four-time GRAMMY nominee John Hollenbeck, The Claudia Quintet is one of the most innovative groups to spring from the creativity of New York’s downtown music scene. 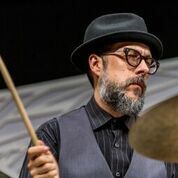 Hollenbeck named the band for an effusive audience member at an early show who vowed to return for future performances and never did – an act which sparked the imagination of the drummer and gave him a moniker to fit the collective ensemble he envisioned. 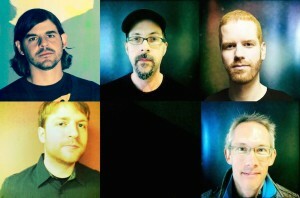 The band boasts unique instrumentation and a lineup composed of some of the finest exploratory instrumentalists in modern jazz. The Claudia Quintet has remained true to its original mission of creating distinctive improvisational chamber music that defies categorization. Over the course of eight critically acclaimed albums, the ensemble has been a highly effective, exceptionally varied vehicle for Ho llenbeck’s music, which reflects influences ranging from jazz to chamber music to varied folk forms and Brazilian rhythms. The Claudia Quintet will be performing new works in celebration of their latest release “Super Petite” on Cuneiform Records. You can hear our new cd here!